This All-Inclusive Complex Comprises Three Hotels. 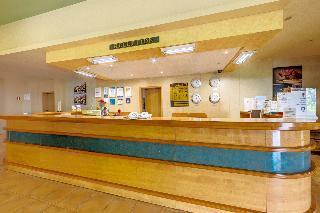 Renovated in 2010, the Excellent Hotel Offers a Perfect Combination of Elegance, Comfort, and Numerous Facilities. It is Surrounded by a Lovely Garden, Flowers and Pine Trees. The Hotel Facilities Include 3 Main Restaurants, 3 Lobby Bars, a Pizzeria, a Snack Bar With a Lunch Buffet, a Children'S Playground, a Kids' Club (4 - 12 Years) and a Doctor. In Addition, a Hairdresser, Currency Exchange Desk, Safe Deposit Boxes (Local Charge Applies) and an Internet Corner (Charges Apply) Are Provided. The Air-Conditioned Property Comprises a Total of 450 Guest Rooms and Also Features a Lobby With a 24-Hour Reception, Lift Access, an Auditorium and a Laundry Service (For a Fee). Business Guests Are Sure To Appreciate the Conference Facilities.